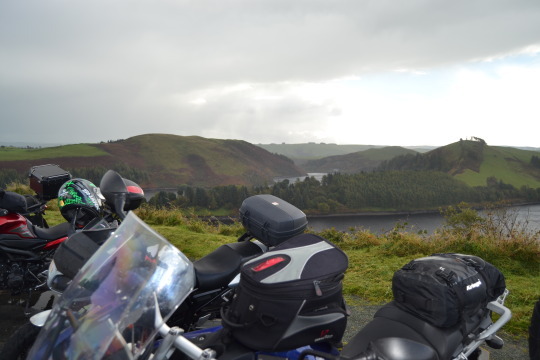 New Style Motorcycle Tours provide a complete service for the touring motorcyclist with our accompanied tours. Our tour area includes the Brecon Beacons, the Black Mountains, Mid and North Wales, the Lake District, Europe and anywhere else that our clients fancy. Our aim is to please and let you enjoy trouble free and hassle free motorcycle touring in some of the most scenic and traffic free parts of the country. ...for more information please visit our tours page. Training We work in conjunction with our sister company 'the Bridgend Motorcycle Training Centre' to provide motorcycle training at all levels. We are committed motorcyclists who provide quality training at fair prices and care about the quality of rider we produce. Some of our instructors have over thirty years experience in the business of motorcycle training. We train and succeed where other trainers have failed......for more information please see our training website. Visit our photo gallery to see pictures of our tours. Check this area to read important messages or simply find out what's going on and what innovations we've made. Getting ready for next week to set off on our first trip of the 2018 year to North Wales. Take a look at www.newstyleadventureaccessories.com if you're looking for useful items and accessories for your machine. New items are being added to the web site regularly. Details of the SSAFA (Soldiers, Sailors and Air Force Association) Charity Ride event to Belgium have been posted on our tours page. Riders are asked to pledge that they will raise £250 in sponsorship money in aide of this worthwhile cause that New Style Tours are supporting. we've already got several interested and have said they are coming. Numbers are limited so if you are interested then get your deposits in. 090914: Well we have just created a blog page. Find our blog at www.newstyletours.tumblr.com Don't quite know how much use it will be but may be worth it for when we are out on tour. We'll have to wait and see. The Tutoro chain oiler - ideal for the touring motorcyclist. See details on our useful links page. Some more pictures and a video of our North Wales tour can be viewed at our photo gallery page. Take a look. We have now created a Facebook page for New Style Tours. Take a look and click if you like it!! Our on line booking store is now up and running. Payment can also be taken by credit/debit card after phoning our contact numbers. Accommodation all booked for April and October 2017. Can book a few more if the demand is there. Can also arrange training for small groups as well to suit. They’re a great learning weekend with a bit of socialising thrown in. See our web site or check out our FB page to book on to one of these courses. Copyright © February 2014 New Style Tours. All rights reserved.